Opalite is a man-made crystal that has all the beauty of fire opal but at a very affordable price! 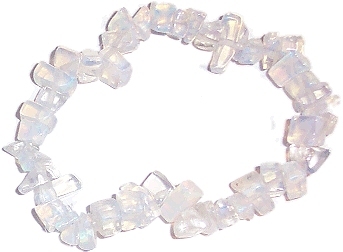 Opalite can be clear or milky with an irridescence that is useful for scrying and meditation. attract wealth, often used in rituals to attract money and increase business..